Scott E. Rosenthal is a second-generation Doctor of Chiropractic and a past president of the Delaware Chiropractic Society. His undergraduate degree is in nutrition and he is a Registered Yoga Teacher. 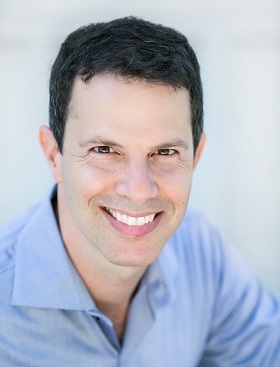 Dr. Rosenthal is an expert in the field of health and wellness and he writes a monthly column for Living Well Magazine and is a contributing columnist for Pathways to Family Wellness Magazine. He practices state-of-the-art care with modern forms of chiropractic and is the first to offer the Koren Specific Technique and Biotensegrity Restoration Technique in Delaware. Also offered are chiropractic pediatric and prenatal techniques (including Webster Technique certification). After taking over the family practice founded in 1965 by his father, he has been in practice since 1993. Delaware Press Association- 3rd place in the Personal Column and Informational category. Delaware Press Association- 1st place in the Personal Column and Informational category. Delaware Press Association- 2nd place in the Personal Column and Informational category. 2011 Delaware Chiropractic Society "Chiropractor of the Year"